As guest speaker for the session, we invited prof. Denis Jongmans, from the Risks and Environmental Geophysics research group (Polytech Grenoble – Université J. Fourier). While two of the previous conveners (prof. Janusz Wasowski and prof. Masahiro Chigira) will still be instrumental in the session, I would like to send big kuddos from here to prof. Michel Jaboyedoff, prof. Denis Jongmans, prof. Vincenzo Del Gaudio, prof. Gilles Grandjean and Dr. Marc-Henri Derron. 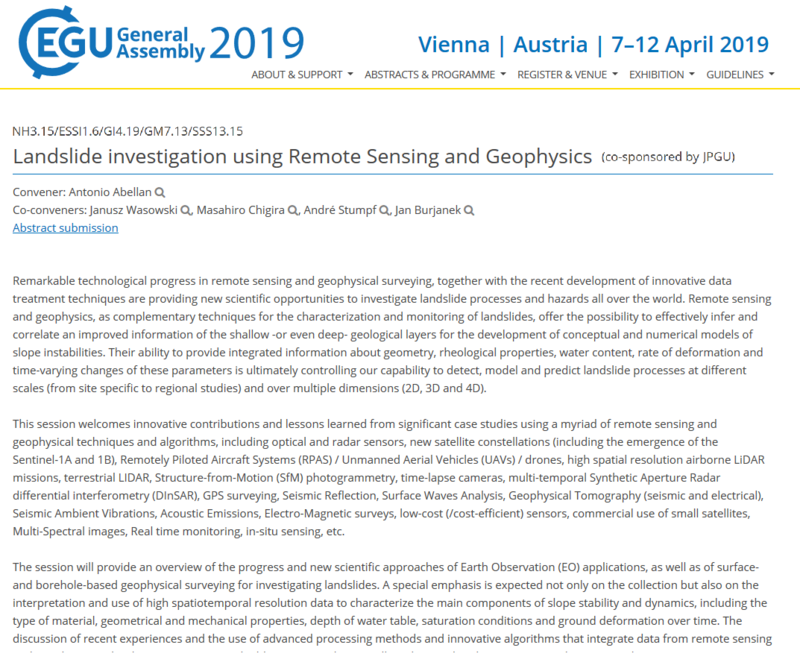 Abstract deadline is January the 10th, while EGU travel grant support deadline is December the 1st (more info at http://egu2019.eu).